A really user-friendly version of Margaret Rizzas chants and songs taken from Fountain of Life and Fire of Love. Unison voices, straightforward keyboard parts and just one part each for C and Bb instruments. All in easy-to-sing keys. 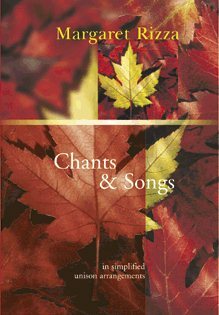 Chants and Songs: In Simplified Unison Arrangements by Margaret Rizza was published by Kevin Mayhew in March 1999 and is our 24680th best seller. The ISBN for Chants and Songs: In Simplified Unison Arrangements is 9781840033281. Be the first to review Chants and Songs: In Simplified Unison Arrangements! Got a question? No problem! Just click here to ask us about Chants and Songs: In Simplified Unison Arrangements.